Being part of the SA Group, SA Air Works covers full EASA Part-21 Design capability, EASA & FAA Part-145 Maintenance capability as well as EASA Part 147 training capability. 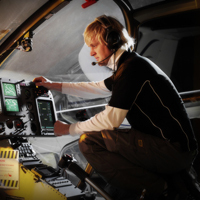 Having the advantage of a high level of internal experience, capability and qualifications combined with a close cooperation with relevant manufacturers (OEM) of civil as well as defense equipment, SA Air Works and The SA Group offer total turnkey solutions for all avionics applications and instruments. Any STC certification solution for any type of aircraft. Repair support for more than 10.000 part numbers.